Improved feed mechanism and presser foot shape gives smooth and gentle feeding. More over, the closed type needle bar mechanism and the perfect seal on the feed bar mean no oil leaking. 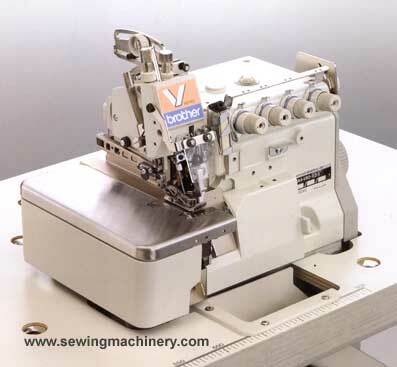 Strengthening of the differential feed dog, variation of the presser bar position and 4 types of over looper locus that harmonizes the needle movement provide the stable sewing even on the joint seam. Lightened parts and balance adjustment, and the smooth relationship between all parts..